As a Frontline Partner, your regular monthly giving will help Open Doors respond to emergencies and provide support for ongoing work on the ground. 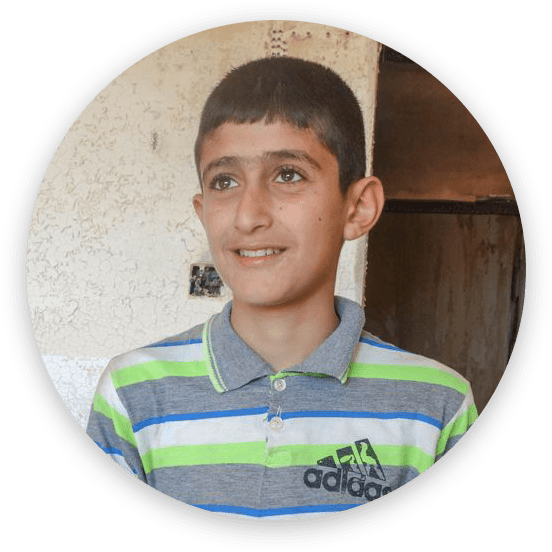 To help fund the growing immediate and long-term needs of our persecuted brothers and sisters around the world. A few years ago, Priya lost her husband. Her in-laws blamed her "toxic faith" for the death of their son. Then her 5-year-old son died two years later. Her faith in Jesus was again blamed. "It's your fault my son is dead!" As her father-in-law waited for Priya to come out, all she could do was stay within the shelter of her home and pray. Then Priya's 5-year-old son became ill and died. Her Christian faith was again blamed for her son's death. This time, her community denied her access to the cemetery to bury her son with dignity, tearing from her the ability to properly mourn and honor his young life. 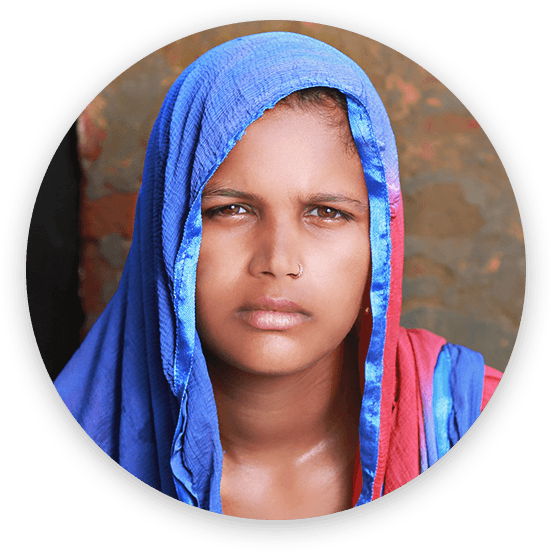 Since these tragic events, Priya has faced more hardship. 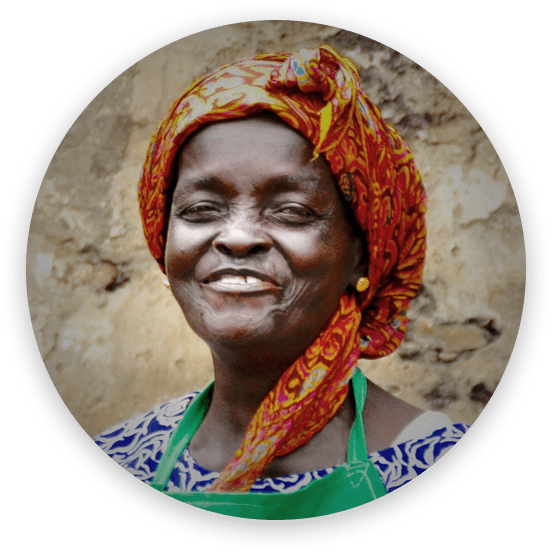 Because of ongoing persecution, she has had to send her older son away to live and study in another village. She has also had trouble keeping a job because of her faith. You've read their stories. You've listened to their words. You may have suffered and grieved and wept with many of our persecuted brothers and sisters around the world. Today, I hope you'll step out further for the sake of persecuted Christians, like Priya, by joining our Frontline Partner family. Persecution is intensifying in so many parts of the world. And requests for aid from our partners on the ground have never been greater. That's why we've set a goal to increase our Frontline Partners by 408 by March 6. Will you take a moment to sign up now and be one of our 408 new Frontline Partners? 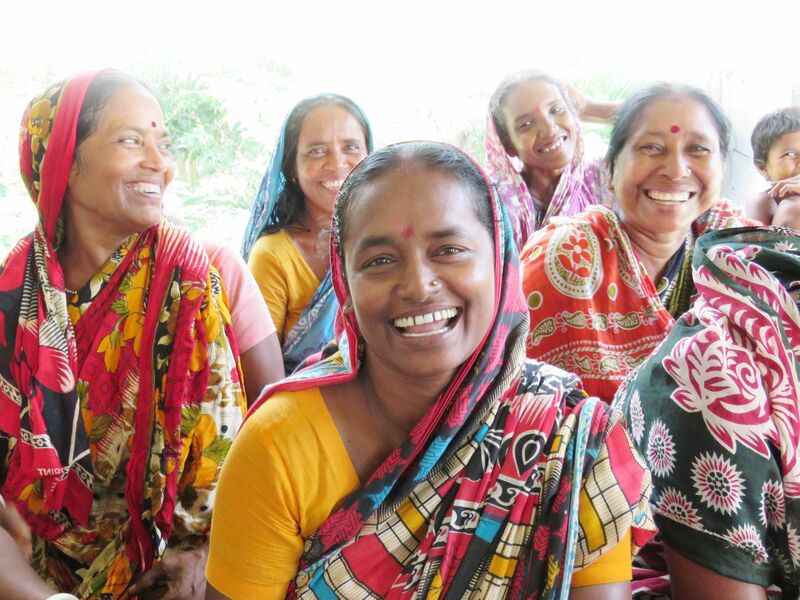 As a Frontline Partner, you'll join a special group of our most dedicated supporters who help Open Doors respond to emergencies and provide support for ongoing work-on-the-ground through their regular monthly giving. "These are not of sadness," she says. "They are tears of joy. Because we meet again, and because Jesus has taken care of me since these tragedies happened." If not for the support she received from Open Doors, Priya might not have weathered the last few years with the same strength and determination to follow Jesus. "I'm strong in Christ. Why? Because God provided in prayer all my small needs. I know if I go through any more difficult situations, He is there for me. He sent an Open Doors partner who came with groceries when I had nothing to eat. I'm so thankful to all of you. You were there when I was in need. I am so thankful." 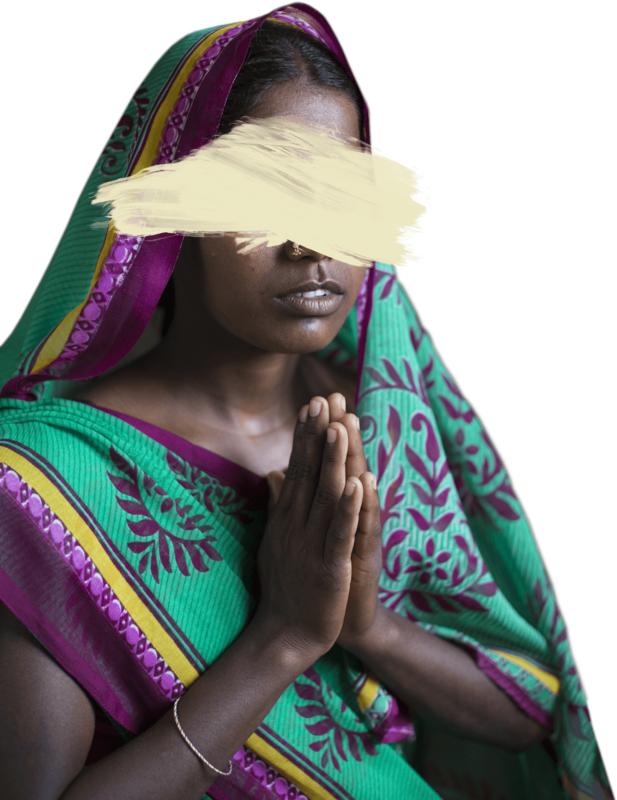 *Due to increased persecution we are using a representative name and obscuring Priya's face to protect her identity. Why are Frontline Partners so important? Sign up by March 6 and receive a copy of God's Smuggler written by Brother Andrew about his experiences smuggling Bibles behind the Iron Curtain during the rise of Communism after World War II. 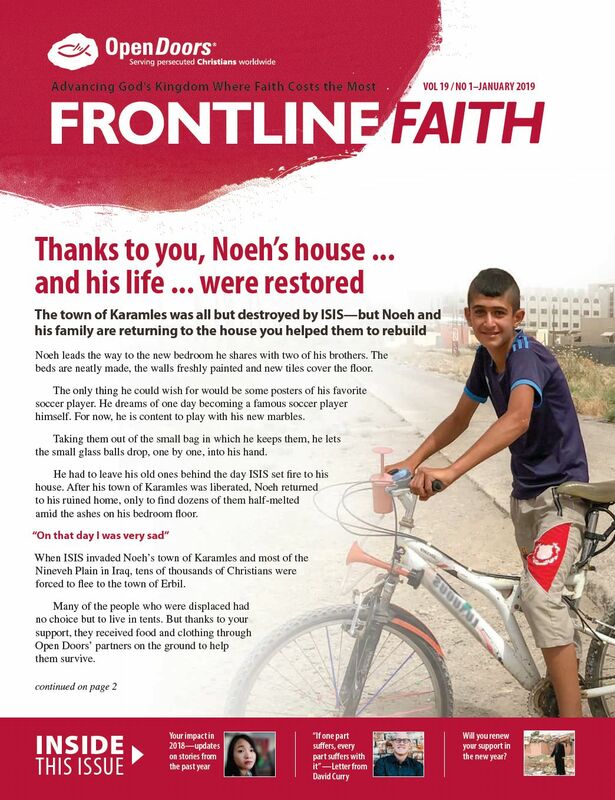 Our monthly Frontline Faith newsletter. 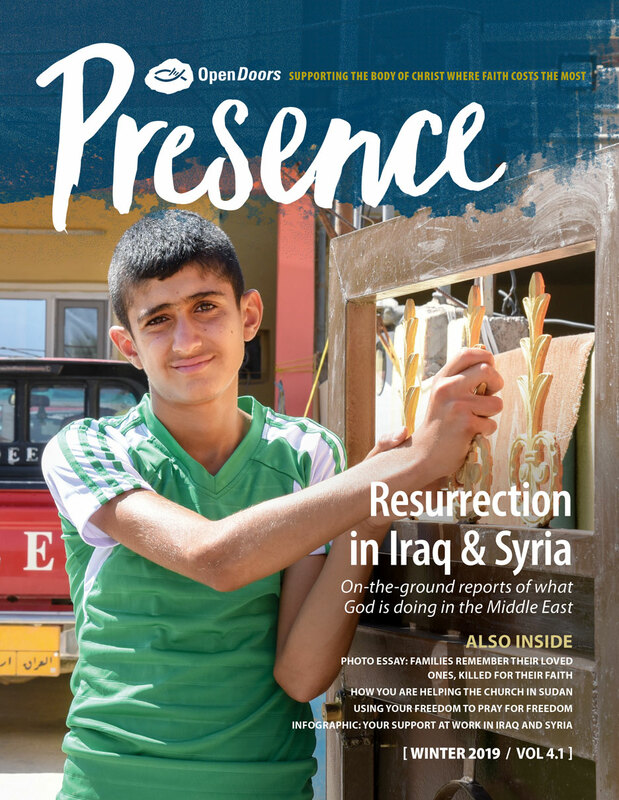 A subscription to Presence magazine—featuring ministry updates, as well as the stories of persecuted believers you’re helping reach. Help provide ongoing support to meet the critical needs of persecuted Christians on the front lines and around the world by becoming a Frontline Partner now. Open Doors USA is a 501(c)(3) organization and charter member of ECFA, the Evangelical Council for Financial Accountability. Federal Tax ID# 23-7275342 ©2018 Open Doors USA, All Rights Reserved.